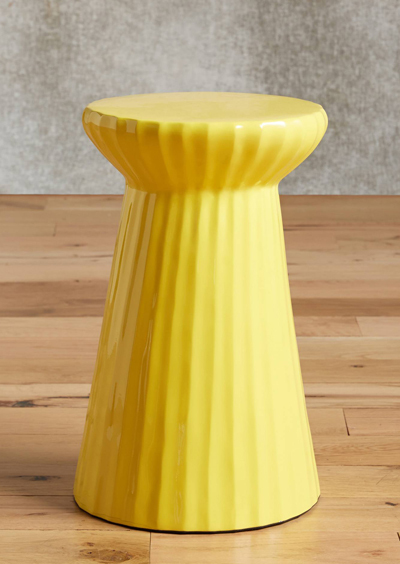 Over 20 layers of high-gloss lacquer were hand-applied to the facets of this Yellow Lacquered Bead Side Table. Measures 18″H x 11.5″ diameter. $168. Buy here.